Field Trip #3 Recap: Back to the Museum! OK, so it’s been a while since I gave you guys a recap of my field trips for my upcoming book. Good thing I take lots of notes, huh? Fear not, I’m going to get you guys caught up before you know it! Good thing, too, as I’m currently getting ready to start hitting the road again soon. Regardless, when last we spoke, I had just completed an investigation of a museum for my book, leaving on a Friday night from work and arriving back home in the wee hours of Saturday morning. Although I didn’t even bother to unpack Ol’ Blue when I got home, I still got very little sleep that night/morning. That’s because I was so excited at the prospect of taking my daughter, Courtney, on her very first investigation for my book! Let’s be honest here, though. No matter how excited I was, it didn’t change the fact that I still had to figure out how to jam all of Courtney’s travel accessories into the car. Since Ol’ Blue couldn’t hold anything other than the equipment (and me), Steph and I had made the decision that we would caravan, with my wife and daughter leading the way. Yup, that’s right; we needed two cars for everything. Still, I was very excited about this trip. For Courtney’s first investigation, I had decided on a place that, while it needs to remain a secret until the book comes out, was still near and dear to my heart. 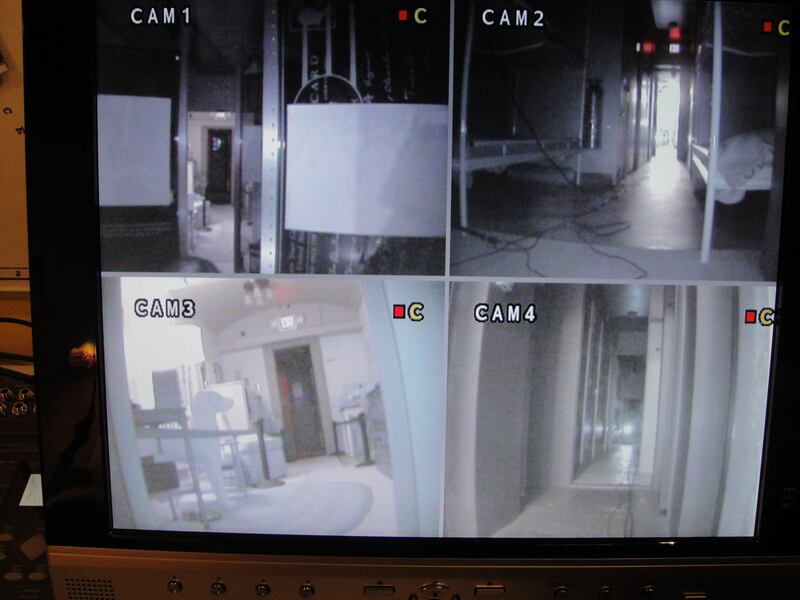 Not only had The Ghosts of Ohio investigated the building several times in the past, but we were also the first paranormal organization to be allowed inside to conduct an investigation. The fact that it was also one of the most unique museums I have even been inside of only made me more excited. But what really made me decide to make this Courtney’s first investigation was the interesting combination of ghosts and family that I’ve come to associate with this museum. You see, when The Ghosts of Ohio was first contacted by one of the museum’s Board members for an investigation, it wasn’t at the Board’s suggestion; it was because of the Board member’s mother! Turns out that mom was a big fan of the ghost reality shows and, after doing some online research, decided The Ghosts of Ohio was the group for the job! Not only that, but as it turned out, the Board member’s daughter was also a fan of the ghost shows. The result was that during The Ghosts of Ohio’s first investigation of the museum, 3 generations of one family took part, making it a truly unique evening. These three lovely ladies would come to take part in all subsequent investigations of the museum, making it feel like one big family. So it seemed the perfect choice for Courtney’s investigation debut. Of course, I had to get her up there first. Surprisingly, the Pack & Play went into Steph’s car rather quietly. Likewise, all of Courtney’s other trappings managed to squeeze in, too. Not having taken Courtney on many long rides before, we wondered how she was going to do only a multi-hour one-way trip. But other than a brief pit stop about an hour into the ride for food and a diaper change, Courtney came through like a trooper and actually seemed to enjoy the ride. After a brief check-in at the hotel, I made my way over to the museum to begin my interviews, leaving Steph to wrestle with the Pack & Play. I had roughly a dozen people to interview and had decided to do a round table discussion (which I would record) to knock things out all at once. Also, I’ve found that having several people share their ghost stories at once often makes for a more lively discussion. I was about 30 minutes into the interviews with Steph and Courtney arrived. Shortly thereafter, I began to realize that perhaps it was a mistake bringing Courtney along. No, it wasn’t due to anything Courtney did…unless you want to blame her for simply showing up. Because the second Steph wheeled her in, all bets were off. Simple fact is, it doesn’t matter how much people love telling ghost stories. If there’s a baby present, everyone’s going to focus on that. Guess you could say that the dead don’t have a chance of being recognized when there’s a living, breathing baby in the room. And all it took was one smile from my daughter and I had pretty much lost control of the interviews…and there was no turning back. I did manage to finally get all the interviews down on tape and then, while Courtney took a nap, the three of us went out for a nice quiet dinner. It was over said dinner that I suddenly realized something; I would be setting up the equipment all by myself! In all the excitement over bringing Courtney, I had totally forgotten that no one from The Ghosts of Ohio had been able to make the trip with me. Sure, I was more than capable of setting up the equipment solo. And since I had done several other investigations here, I was familiar with the location of all the nearest power sources as well as a general overview of where to place things to cover all the “hot spots”. But to be honest, I had never flown solo on something as big as this museum before. Another first! My initial plan has been to have Steph push Courtney around in her stroller so she could “supervise” and get a first-hand look at the madness that is her dad’s “other career.” This became next to impossible, though, based not only on the fact that Courtney was sound asleep, but also because yours truly was running around like a madman trying to run cables throughout an entire museum! Sadly, the decision was made to bring Courtney’s first investigation to an end and Steph brought her back to the hotel room for the night while I stayed behind, promising to join them before dawn the next day. For the record, a fully staffed Ghosts of Ohio team has set up for an investigation here in a little under 2 hours. Flying solo, I did it in about 3 and a half. Not bad, if I may say so myself, although I had to change my shirt halfway through as I had sweated through the first one. Good thing I still had my overnight bag in Ol’ Blue. 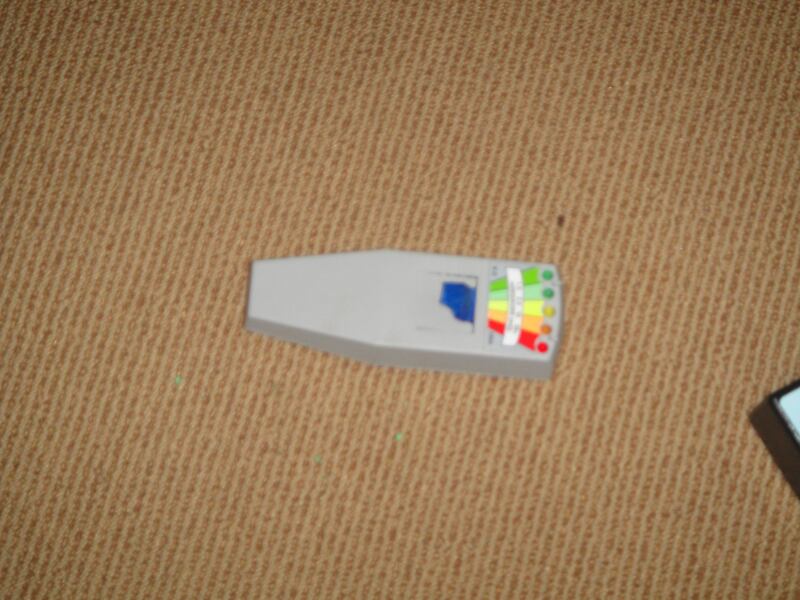 As for the investigation itself, while it was a rather quiet evening, we did have a rather interesting occurrence that took place in one of the “hot spots” involving myself, all 3 generations of the Board member’s family, and a K-II meter. Over the course of about 10 minutes, the K-II seemed to be flashing in response to questions we were all asking aloud. And I was able to capture most of the event on videotape. Now before you go screaming at my about how bogus it is to be using a K-II, allow me to explain. I believe in using a device until there is concrete proof that it serves absolutely no purpose in paranormal investigations. Sure, the K-II is notorious for picking up cell phones, batteries, and just random signals. But it also picks up energy fields. And since I admit, much to the chagrin of many of those in the paranormal field, that no one can say for any certainly what exactly a ghost is made up of, I am willing to use a K-II because it lets me know if there’s an energy field out there (ghostly or not). So I’m not saying there was a ghost causing the K-II to go crazy on this particular night. I’m not even saying that there was a ghost there. I did, however, have the opportunity while it was going on to test cell phones and other devices to see if I could get the K-II to react, and it didn’t. But this jury’s still out. I look at the tape sometimes and I clearly think “something” is using the K-II to provide answers to the questions we’re asking. Other times, I think I’m reading too much into it. So I’m still on the fence…so I guess it’s a good thing that the book’s not due for a while, giving me more time to ponder. Location of K-II went it started acting crazy (sorry for the blurry image). But back to the investigation at hand. After needing several hours to set up the equipment, I was miraculously able to break it down and get it loaded back up in under 2 hours. Good thing the hotel was less than 5 minutes from the museum, though, as I basically walked in the hotel room and collapsed on the bed. 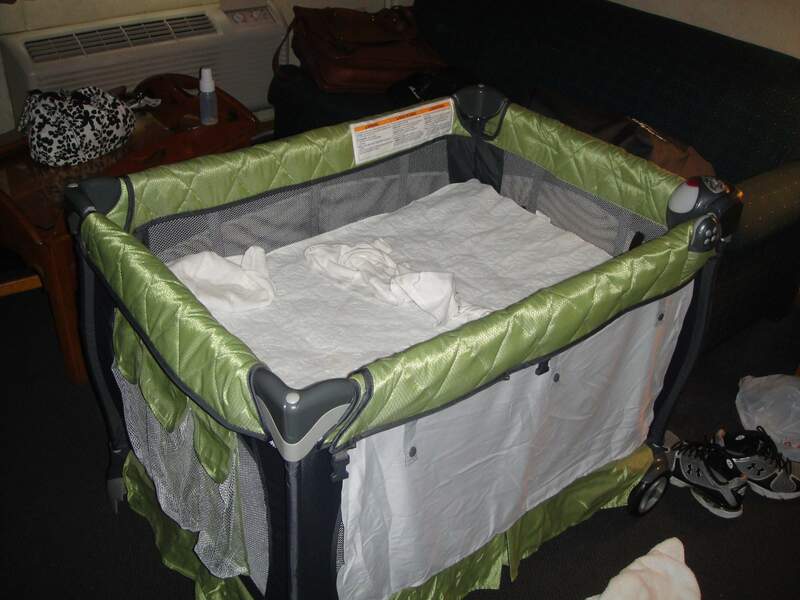 Courtney was sound asleep alongside the bed, safe and sound inside her Pack & Play. Guess all the excitement of her first investigation wore her out! The following morning, we began our uneventful caravan back home. Of course, we did decide to stop along the way so Courtney could enjoy another first: her first post-investigation pancake breakfast at Denny’s! 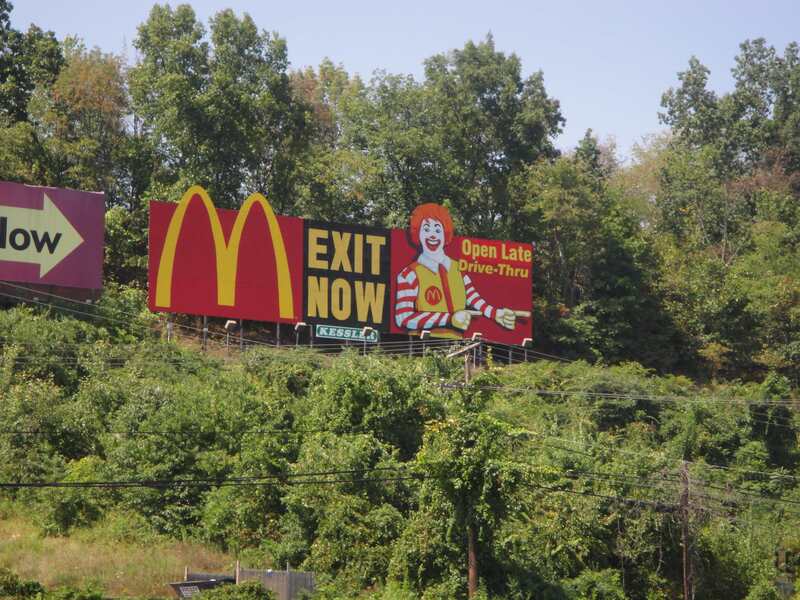 Might have been just me, but I was a little worried what Ronald might do to me and my family if I decided to "exit now"